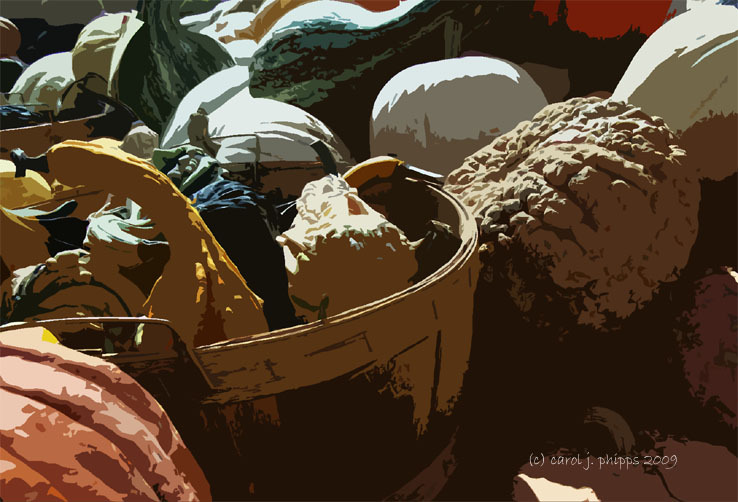 carol j. phipps | all galleries >> Galleries >> Autumn Scavenger Hunt > Radial in Season! A nice unusual effect. Like it. The pumpkin on the right has a strong radial pattern. Lots of radial stuff in there....like th processing in this one! Lovely arty effect & palette Carol! Great image Carol! Love your post-processing too. V.
Interesting treatment. Very nice shapes. Nice shapes, even the basket is round!